We're kind of lame and only have one good pan, and I'm pretty lazy and don't like to clean a lot of pans, so I did this all in one. First, I cooked the pasta like it said on the package. When it was done I put it in the colander in the sink. Second, my pasta pot was now empty, (medium heat) so I put in my chopped onion with a little bit of olive oil, garlic salt and a mix of Italian spices. I sauteed that until the onions were translucent and only a little crunchy. 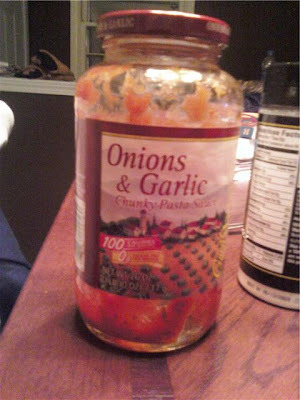 Third, I poured in both jars of pasta sauce, (Medium-low heat) and let it get warm and mix with the onion. 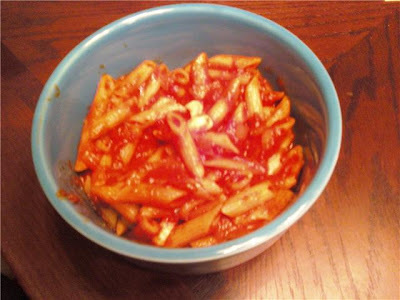 Fourth, I put the pasta back into the pan and mixed it all up. Then turned off the heat. Last, I put the string cheese chunks into the mix. It was fantastic. I'm definitely making it again, it was easy! This is the string cheese I use. I use it because it doesn't melt and get stringy like most cheese does. It melts but it keeps a shape, it doesn't get sticky and cling to the end of your fork. I also use it because it's free...from my parents house :). This is a variety pack (which you already know if you can read, which I do believe you can). 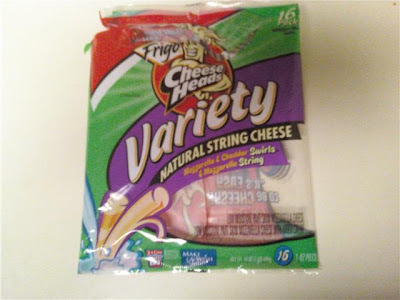 It has half original mozzarella string cheese and the other half are twisted sticks with mozzarella and cheddar cheese. I use the mozzarella ones, but if I'm out of it I'll use the twisted ones too, it tastes fine. I know that whole wheat pasta doesn't taste the greatest, which makes it even better that they came out with this stuff. 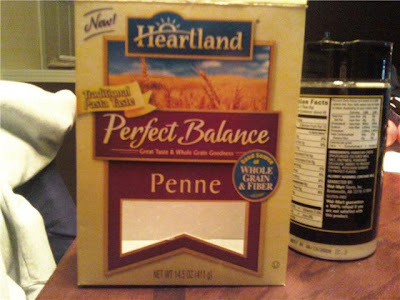 It's whole grain, but taste like white pasta. It really doesn't taste like whole wheat. I promise you wouldn't know it wasn't white pasta. Also, Barilla makes a good pasta, it's called Barilla Plus, its a good multi grain pasta. All products found at Wal-Mart. I'm not sure about the string cheese though, I take that from my parents house, I think they get it at Kroger. I'd bet Wal-Mart has it though. Once again, you are witness to my not studying! Ugh! Stupid finals.